Her recent move to a beautiful tropical island forces a Midwestern schoolteacher into a cat-and-mouse game with a killer. 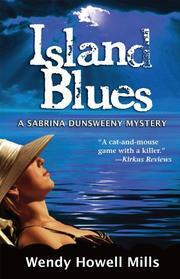 Sabrina Dunsweeney’s relocation from Cincinnati (Island Intrigue, not reviewed) hasn’t turned out as she’d hoped. Jobless and forced out of her original rental, she may have to head back north with her parakeet Calvin. When she’s offered the job of Comico Island ombudsman, she’s hesitant, but knows someone is needed to try to keep peace between the quirky, clannish islanders and the unhappy tourists whom unscrupulous property manager Vicki Carroway has promised more than they’re getting. Sabrina learns more about Comico’s past as a rumrunners’ haven when she visits Shell Lodge to try to soothe the sensibilities of an ill-assorted group of “Hummers.” These poor souls, who continually hear a humming noise that’s driving them mad, have made a retreat to be cured by expert Joseph Siderius, his son Michael and his business associate Gilbert Kane, who’s just been found murdered. Sabrina’s sleuthing gets the killer’s attention, and she barely escapes a few attempts on her own life. Unable to believe that attractive boatmaster Sam Myers is guilty even after he’s arrested, she keeps digging until she discovers that past secrets provide fertile ground for present crimes. Though Mills’s attempt at a comedic mystery doesn’t quite work out, Sabrina still holds promise for future development.